Use the images handed out. Make a collage where you illustrate one of the ideas you came up with, in learning activity 3.1. The collage should be a composition of the elements in the hand-out of images. Cut and paste. The collage you create in Photoshop should show inspiration from the design studio you’ve previously written about in learning activity 2.1. Color your collage, and add patterns. Present you final work on your reflective diary, and explain how you solved the task. Here’s my final result of the week two assignment, ‘idea development and research’. I first looked through my sketches, and decided on one of the ideas.I created a new document in Photoshop, and selected the background color. Second, I opened the hand-out documents I had previously saved to my computer, of the elements I needed for my idea. 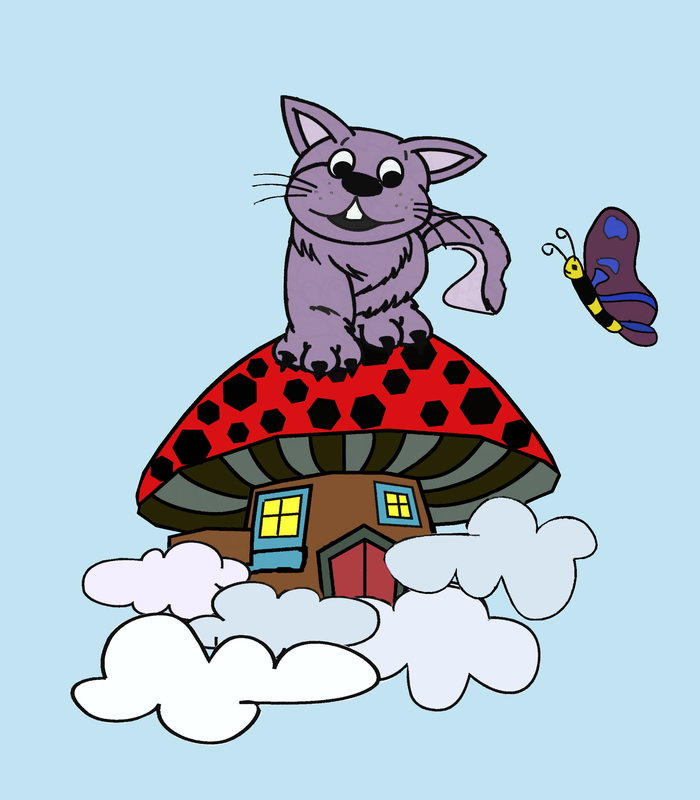 I cut out the cat, the clouds and the mushroom-house using the Polygonal lasso tool. I cut out the clouds from different images to get some variations, and I also flipped some of them 180 degrees. The cut-outs I pasted into my new document one by one, on different layers for each element. 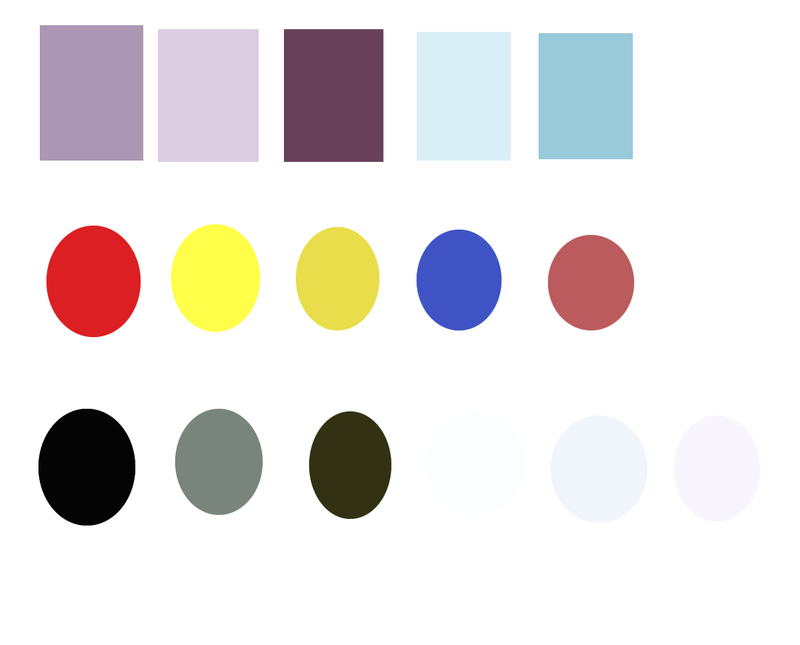 To color in my elements, I clicked on each layer belonging to each element. Doing this, I also enhanced the outline of the collage, as I wanted a clear outline for each element. Lastly, I linked all my layers, saved as both PDF and JPEG and VOILA – I had my end result. I love Photoshop. It has NO limits! Mellow, along with strong color usage. and also, first thing that caught my eye searching through the Internet for them, a purple butterfly. I’ve also kept my own personal style in this, using a couple of colors in different tones.